You are here: Home / Blog / Pie vs tart, what’s the big difference? A pie is a savory or sweet dish composed of a crust and a filling. If you look closely, you can see that the sides of a pie are sloped. A pie can have just the bottom, just a top or a bottom and top at the same time. The crust is usually made out of flour, cold water and some salt. Also butter, or sometimes lard or (vegetable) shortening can be used to make a decent pie crust. The main goal of making a pie crust is to make a crisp and flaky crust. It’s common for pies to be served straight from the dish in which they were baked. Now for the tart: a tart is also a savory or sweet dish, but with shallow sides, and only a bottom crust. The crust is very different from a pie crust, since it’s usually made from simple pastry dough. 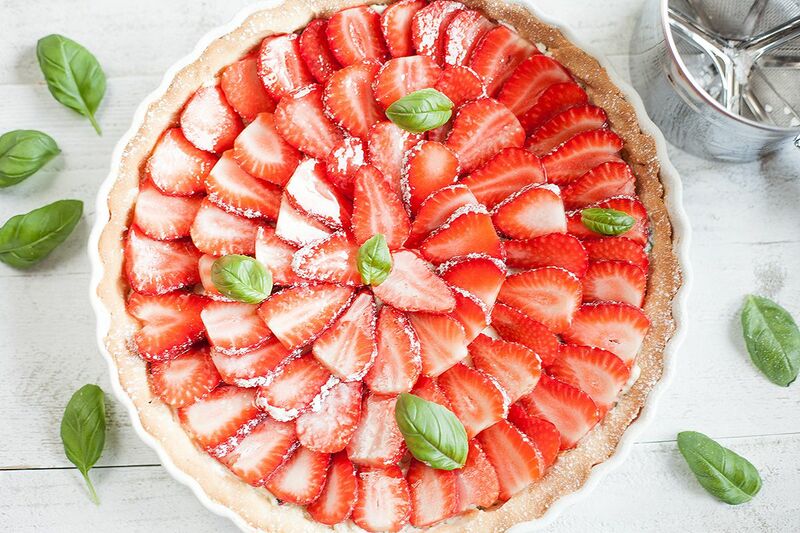 A combination of plain flour, unsalted butter and cold water is used to make a tart crust. It’s entirely possible to add in sugar for a sweeter kind of tart crust. The baking process is executed inside a pan with a removable bottom, or in pastry ring on top of a regular baking sheet. The purpose of this is that the tart can be unmolded before being served. Besides knowing the difference between a pie and a tart, it’s also noteworthy to know about a galette. To put it simple: a galette is a round pastry wrapped, fruit filled dessert. You bake a galette on any plain old baking sheet, and very easy to make since they don’t have a certain shape. Usually people make them round, but why not square or triangular? There you have it, you are now a pro at distinguishing pies from tarts, and even a galette! Thank you for that very detailed explanation. You’re very welcome! We love this kind of blogs, so there will be much more how-to’s in the future!